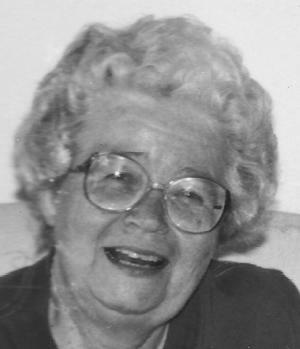 Evelyn L. Koenig, 90, of Corvallis, passed away Saturday, August 11, 2018. She was born August 9, 1928, in Pearl River, New York, to Frederick and Evelyn (Peper) Spreen. Evelyn graduated in 1950 from Emerson College in Boston, Massachusetts. In college, she studied literature and worked at the college radio station, WERS, where she was the head of the music department. Her passions included classical music and opera. At the radio station, one of her jobs was to write the script for the announcers to read before the acts of the operas that were broadcast. In Boston, she met her future husband, Harold Koenig, and they married on April 26, 1952. Evelyn and Harold settled in Schenectady, New York. Harold worked for General Electric and they both were involved with the young adult Luther League group at Messiah Lutheran Church. Evelyn and Harold adopted their first child, a son, in 1958 and their second, a daughter, in 1960. Evelyn’s focus was her family and her husband. In the summer of 1967, the family moved to Hopewell Junction, New York, where Harold worked for IBM. Both children would graduate from high school and go on to college and graduate degrees. Harold retired in 1992 and that allowed the couple to spend a week or more with their children and grandchildren during the summer and around Christmas and New Year’s Eve each year. Harold passed in 2001, and after living in Hopewell Junction for 35 years, Evelyn decided to leave her neighbors and church friends and move to Corvallis in 2002. She was a member of Grace Lutheran Church since arriving in Corvallis, and she was part of a Bible study group of Grace members for many years. Evelyn’s interests later in life include classical music, opera, her faith, regular dinners out with the family, her cat, who she adopted in 2007, the daily crossword puzzle and the “funnies” in the local paper, and handwritten correspondence. She did not feel that she did miss anything by not learning e-mail or how to send a text. She was perfectly happy to write and receive letters from her friends and relatives across the country. Sending Christmas cards was a passion and she took the time to write at least a short note in each of the cards she sent. She is survived by her son, Hal Koenig, of Corvallis; daughter, Kirsten Koenig, of Libby, Montana; five grandchildren; and three great-grandchildren. Evelyn was preceded in death by her husband, Harold; and brother, the Reverend Frederick Spreen, Jr.
A celebration of Evelyn’s life will take place at 2:30 p.m. on October 5 at Grace Lutheran Church. In lieu of flowers, contributions in Evelyn’s memory may be made to the Grace Lutheran Church Foundation.